It’s a great time to go shopping for undervalued dividend stocks. The sudden rise in interest rates over the past few months has caused a great panic across the dividend-yield-seeking community. Investors have been dumping higher-dividend stocks with each ensuing Federal Reserve rate hike. Heading into June, there are plenty of undervalued dividend stocks out there. Be it in packaged foods companies, REITs, the energy sector or various other industries, plenty of great income companies are on sale. Here are nine that should be on your radar this summer. Kraft Heinz Co (NYSE:KHC) electrified the packaged foods industry several years ago. With Warren Buffet/Berkshire Hathaway Inc. (NYSE:BRK.B) and famed operator 3G involved, Kraft Heinz looked ready to dominate the food industry. It hasn’t quite gone that way though. Since KHC stock hit $90 on the crest of Buffett hype, the stock has been a major dud. Shares have fallen as much as 40% from their peak. The company has failed to make more major acquisitions, despite 3G’s business model centering around continual deal-making. The company made a pass at Mondelez International, Inc. (NASDAQ:MDLZ) and was rebuffed. Since then, the pipeline has gone dry. It’s not all bad news though. Given the massive reversal in KHC stock sentiment, it now looks downright cheap. The stock is offering a 4.4% dividend yield, and trades at just 14x forward earnings. While packaged foods companies are admittedly struggling, Kraft Heinz has one of the best brands lineups in the industry. The large dividend makes it easy to wait while 3G goes about finding the next big opportunity for the global food giant. Moving from food itself to the spices and sauces we put on top of it, let’s turn to McCormick & Co (NYSE:MKC). MKC stock is not the most exciting from a current yield perspective as it only yields 2.1% today. However, the company has paid dividends for 94 consecutive years, and increased them annually each of the past 32. Over the past 10 years, McCormick has grown the dividend at 9% compounded a year, adding up to a 4.5% yield on cost for any purchasers back in 2008. What enables McCormick to keep doling out nearly double-digit dividend increases every year? The company has a near-monopolistic hold on the spices and seasonings market in the United States and Mexico. If you go to a typical grocery store, you’ll find a long line of McCormick branded spices, and if you want to save money, McCormick usually makes the private label cheaper options as well. To add to the company’s dominant position in spices, it made a $4.3 billion acquisition last year. It bought the food division of a UK conglomerate, bringing French’s and Frank’s Red Hot to McCormick. Hot sauces are one of the fastest growing grocery store items in the US, and French’s mustard is a consistent seller. All told, between the acquisition and the tax cut, McCormick’s earnings are set to jump close to 25% this year. So far, the stock hasn’t moved up that much … yet. 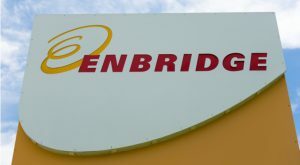 Enbridge Inc (NYSE:ENB) is Canada’s energy transportation powerhouse. The company operates the world’s largest crude oil and liquids network in the world, along with being Canada’s largest natural gas distributor. Not surprisingly, between the weakness in the Canadian economy and the plunge in oil prices, ENB stock has done nothing for years now. In 2011, ENB stock traded around $31/share. Today, it trades at the same price. The undervaluing business value has grown nicely over the years, however. On top of that, Enbridge is consolidating its various subsidiaries back into the mother company at advantageous prices for existing ENB stock holders. Add it all up, and Enbridge stock should be set for a serious bounce with oil rallying. ENB has traded in a 52-week range between $29 and $42, making the current $31 price a steal. At the current valuation, ENB stock also yields a mouth-watering 6.8%. 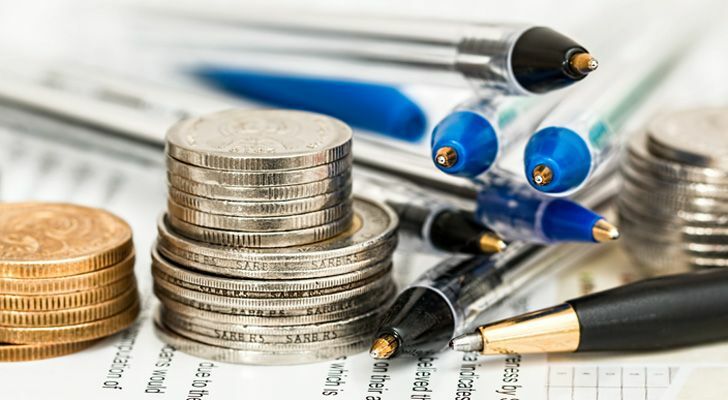 Do note, if you own ENB in a taxable account, it is subject to a modest Canadian dividend withholding tax, though you may be able to reclaim it subsequently. Despite oil roaring from $27 in 2016 back up to the $70 area, a surprisingly high number of undervalued energy dividend stocks remain on offer. 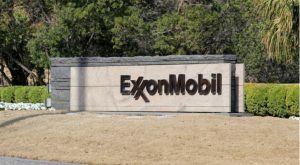 Exxon Mobil Corporation (NYSE:XOM) is one such classic example. Back in 2016, XOM stock bottomed in the low $70’s. With oil up tremendously since then, XOM stock has … not done much. In fact, it’s up to just $81 per share now. It may not get back to its 2014 highs above $100 in the near-term, but the share price should trend nicely upward from here. Exxon’s status as a veritable blue chip dividend champion remains unchallenged. With one of the nation’s best credit ratings (AA+), Exxon is a classic dependable income holding. The 4% dividend yield may not rank as highly as Enbridge, but the dividend security is unparalleled. New York Community Bancorp, Inc. (NYSE:NYCB) is a niche New York City lender. The bank was one of the strongest performers during the financial crisis, with only a minimal percentage of its loans running into problems during the meltdown. That’s because NYCB specializes in low-risk multi-family loans against New York City apartment buildings; those tend to hold their value in even the roughest of times. NYCB’s CEO, who has been with the firm for the past 25 years, has piloted the bank to exceptional returns. An investment in NYCB stock on this day in 1994 would have returned 1,694% . Not bad for a U.S. bank given the intervening financial crisis. Since the GFC, however, NYCB stock has struggled. That’s because regulators placed a $50 billion cap on a bank’s assets before they became “too big to fail.” NYCB has been stuck at that cap level for many years now, which has blocked it from growing. However, the cap was recently repealed, with President Donald Trump signing the legislation last week. Now NYCB can grow again for the first time in years. Combine that with the bank’s juicy 5.9% dividend yield, and we’ve got a stock that should be a big winner for income investors in coming years. There has been a lot of talk about REITs over the past two years. The sector went from star performer to major dud since Trump was elected. That’s because interest rates have surged, which hurts REITs in various ways. However, not all REITs are the same. Surprisingly, despite their strong outperformance as the sector has struggled, most investors have ignored the timber REITs. That’s a mistake. The main exchange-traded lumber contract has gone from $400 this time last year to $600 now. That’s a 50% pop. Not surprisingly, lumber REITs such as CatchMark Timber Trust (NYSE:CTT) are poised to profit. 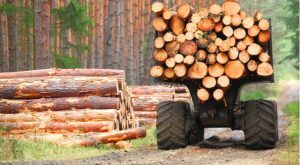 The nature of the lumber industry allows for producers to time their output depending on prices. Given the devastating hurricanes last year, demand is up, and producers can sell into it heavily at solid prices. As a result, CatchMark’s 4.3% dividend yield is looking good, not just on a sustainable basis, but also in that it may be due for another raise. To the final point, why CatchMark versus the other timber REITs? Since CatchMark is located in the Southeast, it should benefit most from the hurricane-induced demand. Sticking with REITs, let’s turn to Public Storage (NYSE:PSA). Yes, their ubiquitous orange facilities may seem like a rather bland business. But it turns out you can generate absurdly large profits renting out small storage spaces for $100 per month. A buyer of PSA stock 25 years ago paid $11 per share (split-adjusted). Since they, that buyer has received $69 per share in dividends, and the stock itself is worth more than $200 today. That adds up to a dazzling 2,350% return over 25 years, or 14% per year compounded. Will the future be quite that bright? Probably not. Self-storage is far more built out nowadays. But the fundamental factors remain the same. Americans love to shop, and they need a place to put their excess stuff. Combine that with millenials who are slow to buy homes, and the demand for storage remains strong. The costs of running a storage facility are low, leading to fat and persistent profit margins. On top of that, Public Storage serves as an inflation hedge, since it’s essentially a gigantic land bank. It can convert storage units to value-added real estate development as cities evolve. Sure, the 3.8% dividend is a lot lower than many other REITs. But when the stock goes up so quickly, a near 4%-dividend is high enough. After two years of sideways stock action, PSA should be due for another move higher. If you like Dividend Aristocrats, which are the stocks that have raised their dividends at least 25 consecutive years, this is a good time for you. Over the past five years, we’ve rarely seen such bargains among the Aristocrats. I highlighted McCormick above. Walgreens Boots Alliance Inc (NASDAQ:WBA) is another. For almost five years, WBA stock has produced no gains aside from its dividend. That leaves it at a very modest starting valuation now. To be sure, there are risks here. We don’t know what the American health care system will look like once the politicians get done reforming it. And new internet-based entrants will try to disrupt the pharmacy industry. But Walgreens is a strong player in its own right. Between its large businesses in both the UK and the U.S., Walgreens has nice geographical diversity. And it’s trading at less than 10x forward earnings now. The dividend yield is also up to 2.6%. Excluding the Great Financial Crisis, WBA stock last yielded this much back in 1988! Not bad for a firm that has hiked its dividend every year since 1976. Once the retail apocalypse fears blow over, WBA stock should rebound strongly. Gilead Sciences, Inc. (NASDAQ:GILD) is a classic victim of its own success. It rode its Hepatitis C cure to huge profits, with GILD stock moving from the $20’s to $120 over the span of a couple years. Since then, it has been all downhill though. While cures are great for society, they are bad for the bottom line. Long story short, Gilead’s profits have plummeted in recent quarters, and on top of that, new competition has emerged in the already shrinking Hep C space. The stock market has overreacted though. GILD stock is trading under 11x forward earnings. In the past, low P/E ratios have been a trap with Gilead. 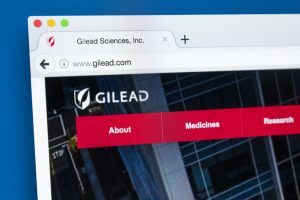 However, Gilead’s earnings are (finally) expected to bottom this year, with analysts seeing decent growth in both 2019 and 2020. The Hep C franchise has already dropped off sharply, while Gilead’s HIV business is picking up, and the pipeline should deliver some hits. Add it up, and Gilead will soon be back in growth mode. In the meantime, the company continues to generate mountains of cash that it can use to pay the 3.4% dividend and buy back stock. At the time of this writing, the author owned KHC, BRK.B, MKC, ENB, XOM, NYCB, CTT, PSA, WBA, and GILD shares. You can reach him on Twitter at @irbezek. Article printed from InvestorPlace Media, https://investorplace.com/2018/05/9-undervalued-dividend-stocks-you-should-consider-buying-in-june/.